Breast cancer is Malaysia’s No.1 killer of women and the disease cannot be taken lightly. Some 56% of cancer patients in the country are reportedly women and 18% of them are breast cancer victims and survivors. 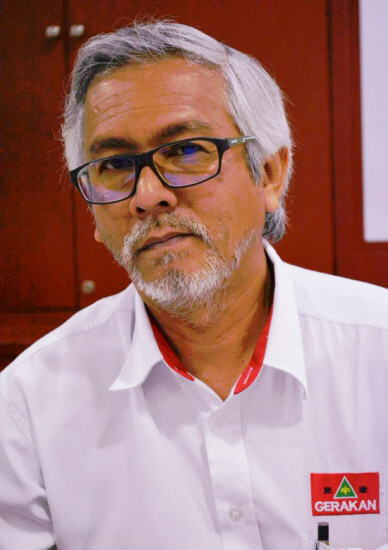 “If we truly love our mothers, without them we will not be in this world, we will make every effort to support the cause of fighting cancer,” Syed Abdul Razak Alsagoff said. Speaking at the Pink Ribbon Wellness (L) Foundation Mother’s Day Charity Hi-Tea on Sunday (May 14, 2017), Syed Razak said “women and mothers who are inflicted with cancer must therefore not be left alone to fight the deadly disease. We must all give whatever support we can, in terms of cash, kind or community service”. He said the foundation, founded in February 2012 and launched by Prime Minister Najib Razak’s wife Rosmah Mansor, was spearheaded by its patron Maniseh Adam, a stage two breast cancer survivor. Maniseh had said: “After going through this dark period and the recovery process, we do not want other women to go through the same thing. Syed Razak urged the public to support the foundation “because it is a good cause, because we love our mothers”. 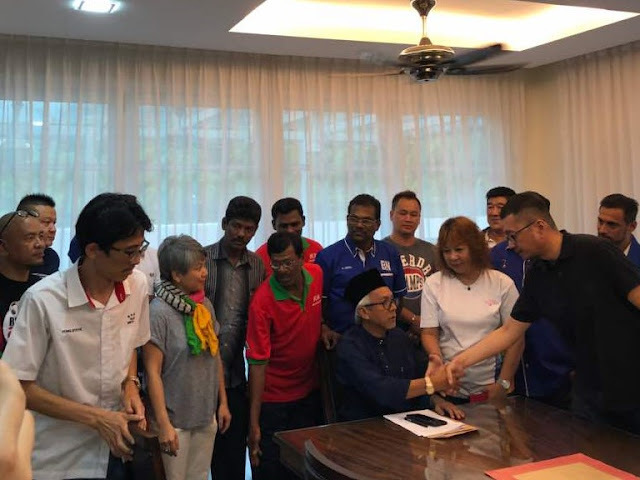 Syed Razak, who is Gerakan’s nominee to contest N.37 Bukit Lanjan in the coming 14th General Election (GE14), therefore urged the public to support Pink Ribbon’s next major charity event - the Pink Wig-A-Thon to be held in Kuala Lumpur’s Taman Botani (Lake Gardens) on Oct 8, 2017. Registration fee is RM80 and RM65 (Cancer Survivor) and it is open to both male and female participants for 5km walk and 10km run. For enquiry and details, contact the foundation at +603-22423121 or secretariat@pinkwigathon.org.my. Rosmah, when launching the foundation, had lauded Pink Ribbon’s efforts in educating women about early breast cancer detection. “Low awareness and taking breast cancer for granted has been identified as the reason for the increase in the mortality rate among women aged 40 and above,” she said. TAIWAN: Against a backdrop of church spires, a woman in a bridal dress gazes into the distance, the train of her gown puffy like a cloud. In other photos, she is in different wedding dresses as she poses in front of a piano next to a lake or against the window sill of a manor. There is something unusual about the photos: there is no sign of the woman's significant other. 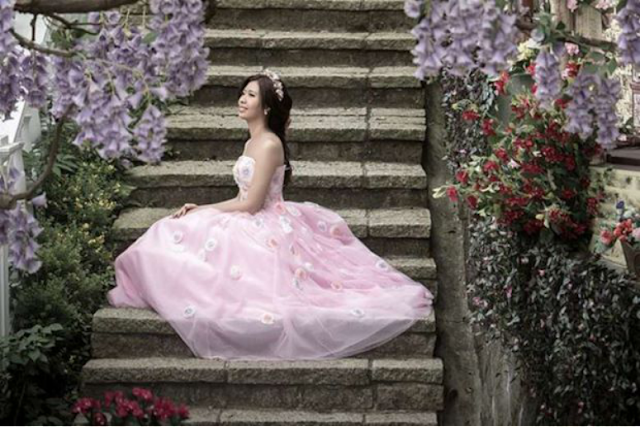 These photos feature 28-year-old Chen Bo-yu, a Taiwanese woman determined to fulfil her dream of wearing a wedding dress before she succumbs to illness. Chen, known as Q May Chen on Facebook, was told she had terminal breast cancer in 2015. "Every girl dreams of wearing a wedding dress, and I was always waiting for someone to wear the dress for, but after I got sick, I think it is okay to do it alone," she told Apple Daily. Chen admitted that she was devastated after learning of the diagnosis. She cried, but only for a day. Now, she is planning to go to Bali for her "honeymoon" with her mother, whom she said has been her pillar of support. An only child, Chen was raised single-handedly by her mother after her father left the family when she was only four. She said she decided to share her story to encourage and inspire others to live their lives to the fullest. Chen, who said only that she used to be a company employee, would upload videos to her YouTube account to document her journey through her ordeal in the hope of encouraging fellow cancer patients to stay strong and fight the disease. Her solo bridal photo shoot was featured in women's magazines like Cosmopolitan and Brides. Chen wore four different wedding dresses for the shoot, each of a different colour to represent different sides of her persona. In the BBC video interview, she said: "When I wore the wedding gown, I was so moved I wanted to cry. I felt as if I had finally achieved a dream I've had for many years." Chen is undergoing chemotherapy and has to go to the hospital three days a week for injections. According to the Taiwan Breast Cancer Foundation, breast cancer is the top killer of Taiwanese women, with more than 10,000 women diagnosed with the disease each year. Chen was a recent guest on Taiwanese cable television network Era TV's cancer awareness programme. After this and the BBC video interview were aired, many Facebook users left comments on her public page to thank her for sharing her story. "You're very brave, inspirational and you're touching hearts across the world," wrote Facebook user Stacey Burton. Another Facebook user, Maria Cormack, said: "Your beautiful story has really touched my heart. What a wonderful person you must be." Chen was first diagnosed with stage two breast cancer in March 2013. She was declared cancer-free after receiving treatment for more than two years but it came back shortly as stage four cancer. "Many people with a terminal illness worry about the future, how long they will live, when they will die... But I would say, 'Don't worry because we don't know. So why not cherish the present?'" - The Straits Times/Asia News Network"
From left: Gerakan central committee member Azmar Abbas (a Pink Ribbon official), Ang, Manimaran, Chai and Syed Razak.